Without a doubt mattresses will vary in cost. 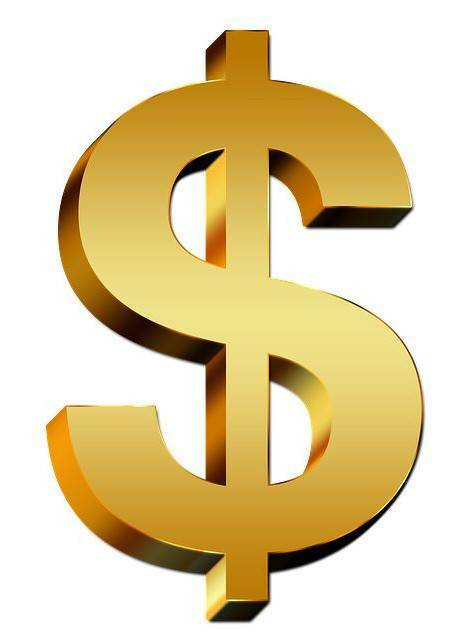 Finding some for as little as a few hundred dollars to upwards of several thousands of dollars. When you have a stricter budget it is important that you are getting a mattress that won’t break the bank but still will give you plenty of support and comfort to sleep sound. On our best mattresses on a budget section we focus on what mattresses are available that are less than $800. (*after coupons) These mattresses still have layers of premium materials and dense support, but at a lower price point. We wouldn’t recommend going under the $250 price point unless it is a mattress that would be used sparingly. Primarily because we don’t feel it is advantageous to compromise the necessary proper support your body needs by purchasing a mattress that is too cheap. It is time for a new mattress but you have a limited budget. That is fine, you can still find something without spending too much. The goal to finding a mattress on a budget is understanding the difference between value and price. Price is the amount the item is being sold for. 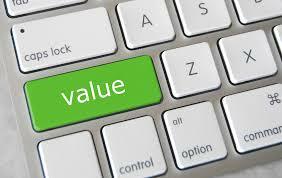 However, value is key because you want to make sure that what you are spending your money on is the best quality, durability and feel for you in your price range. You will find several mattresses that are in your price range, but knowing among those what is going to get you the best bang for your buck is another story. And that is why we have selected several mattresses that we feel give you a higher quality, durable mattress still well within a reasonable price point. To ensure you are getting the best value there are a few things you want to look for when searching for a mattress beyond just the price. You also want to find a quality mattress that will be durable as well as feel comfortable for you. Feel: The feel is going to indicate how soft or firm the mattress will be. Having an idea of your preferred feel or firmness will help you narrow your search as well. Some mattresses will have only one option while others you are able to choose from a few options for what is best for you. For a more in depth look at what to look for in feel take a look at Step 2 of Our Mattress Guide. Quality & Durability: For quality and durability you will be looking at the materials themselves. The actual materials used as well as the properties of them will help decide the quality. Most mattresses will have various components with different ways of measuring the quality if these components. Foam mattresses will have a foam density associated with them. The denser the foam the better quality and thus being more durable. For coil mattresses the amount of coils along with the coil gauge will be what to look for. For a more in depth look at what to look for in materials take a look at Step 3 of Our Mattress Guide. We have chosen the 9 recommended beds as our budget conscious mattresses of choice. All of these mattresses provide a solid, durable core with higher quality comfort layers without exceeding $800. We feel confident in recommending these beds on a budget and don’t feel that your sleep would be compromised, even with an appealingly lower price point. Brooklyn Bedding has been adding to their mattress selection giving more options to every sleeper. Their best addition may be their Brooklyn Bowery Hybrid. This bed is not only super comfortable and supportive but comes in at an insanely affordable price point. Sometimes with more affordable mattresses you compromise quality and comfort. However, that is further than true with this mattress making it our #1 pick for Best Mattresses on a Budget. The Brooklyn Bowery uses a 6″ coil system and pairs it with two layers of conforming yet responsive foams for an ideal medium feel that will work for many sleepers. The upgrade from the original all foam Brooklyn Bowery improves almost every benefit of this bed. Making it better at sleeping cool, superior edge support and added durability and support. Giving you a bed that will last in comfort and quality for years to come with out breaking the bank. 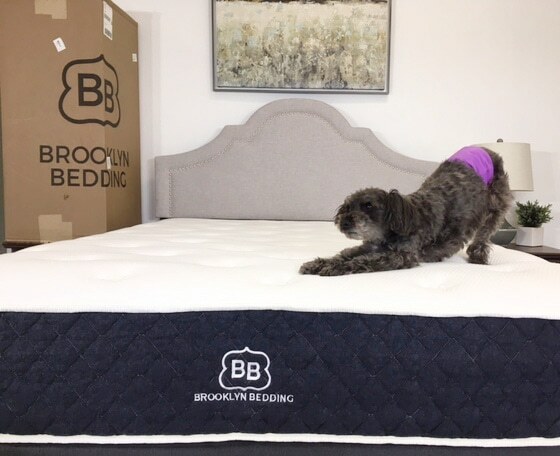 Proving to have even more reasons why this new Brooklyn Bedding mattress easily slid into the top slot for the best affordable mattress. The Tomorrow Sleep memory foam mattress is as comfortable and durable as it is affordable. Making for several layers of durable and dense foams that make a mattress that will last for years. The quality for the price of this bed is almost hard to believe. Hence why it is our #2 pick for Best Mattresses on a Budget. The combination of three layers make an ideal medium-firm feel that will work great for almost all sleepers. The memory foam is contouring yet easy to move on. And the support is ample, even for up to 1,000 pounds of total weight making it not only very affordable but outstanding in so many areas. If you have a limited budget but want a bed that performs at the highest quality the Tomorrow Sleep memory foam bed is for you. 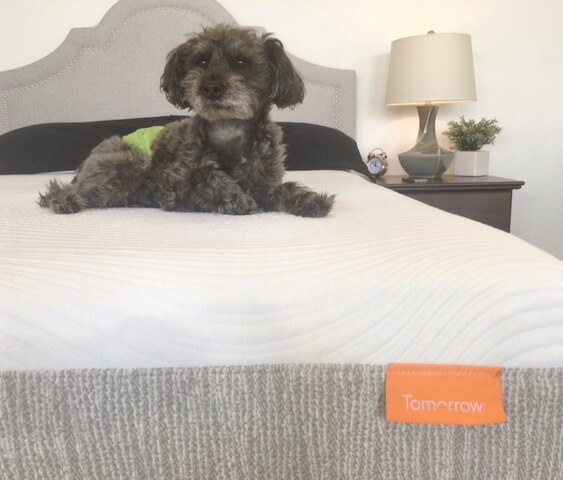 Read our full review HERE or BUY your Tomorrow Sleep Memory Foam mattress NOW at TomorrowSleep.com. If you want a luxury hybrid and don’t have a huge budget this Allswell Luxe Classic hybrid is the way to go. 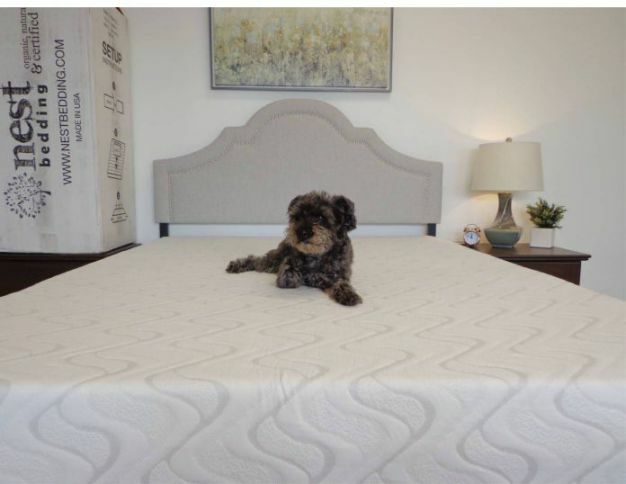 This unbelievably priced mattress offers 12″ of durable comfort and support at a ridiculously affordable price. This mattress is a steal for the price of $585. That doesn’t even include the latest coupon! The solid edge support and universal medium-firm feel make this a bed for any sleeper, and great for couples or larger sleepers too. You get a solid 12″ of coils and foams that are very consistent feeling and provide great edge support. Along with several other sleeping benefits. The price of this bed is hard to believe and won’t last forever. So make sure to take advantage of this price while you can. Finding a mattress that is this thick for this price is almost unheard of. Also, check out this companies perfectly curated bedding too. Allswell Latest Coupon Found HERE! 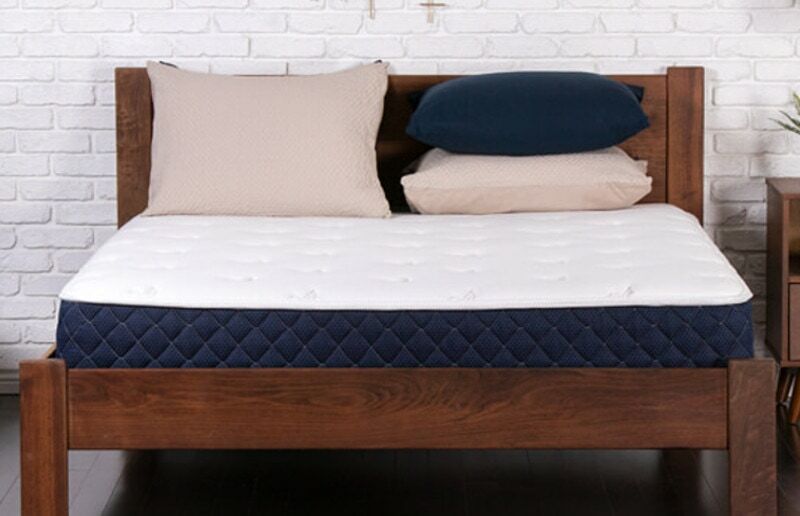 The Brooklyn Signature is durable cool hybrid mattress that comes in three comfort options. All for less than $800 after coupon. Making it a steal of a deal, especially when most hybrid mattresses are well over $1,000, easily. Not compromising on quality but giving an outstanding price tag puts the Brooklyn Bedding Signature mattress in our #3 spot for Best Mattresses on a Budget. This bed uses a 6″ coil system to thoroughly support and evenly distribute your weight. With the combination of two layers of TitanFlex foam for ideal comfort and pressure relief. Making this mattress durable, solid and very consistent feeling for years of great sleep. 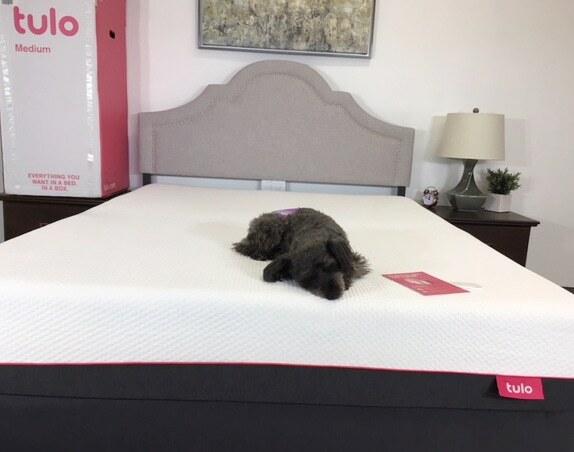 The price of the Brooklyn signature mattress makes it a bargain, especially when compared to most other mattresses that don’t even offer this durable build. This bed has many benefits and will check all the boxes, leaving you with change to spare. The Cocoon by Sealy is giving you not one option but two when it comes to finding ideal comfort. This conforming yet easy to move on memory foam bed is another fantastic choice. Especially if you are on a budget and still want a well made durable memory foam mattress. This reputable brand comes in just under $700 after coupon and will provide great rest for several years. You don’t have to compromise budget for quality. The Cocoon Classic is offered in a medium-soft as well as a medium-firm feel. Allowing you to choose which option of this three layer bed is best for your sleeping needs. The solid top layer of memory foam sits over a transition layer. Giving you ideal pressure relief and deep comfort. Along with solid support from the base foam underneath for years of wonderful sleep. Making this mattress a great contender for the best mattresses on a budget. 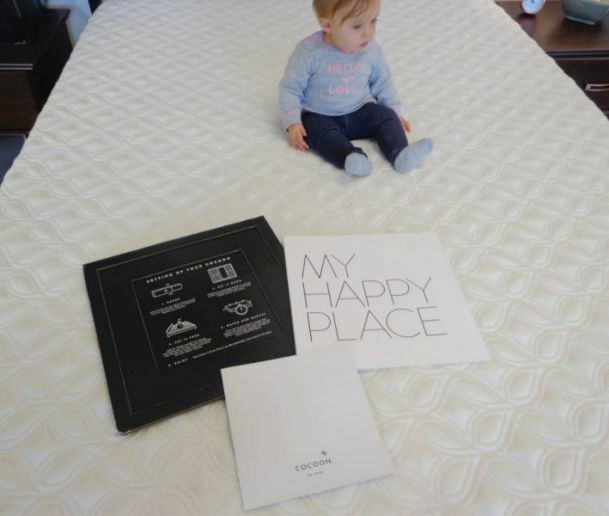 If you are looking for a mattress for your guest room or child’s room, this is a great option. The Brooklyn Bowery is one of the least expensive yet reliable mattresses on our best mattresses on a budget list. This universal feel accommodates most sleepers, especially if you are on the lighter side or use the bed more sparingly. Though it might not have the durability and long term use for couples or heavier sleepers like the beds above will, it is a solid choice for several others. This all foam bed features three layers to create 10″ of comfort and support. The more medium feeling bed will relieve pressure and not sleep too warm. It is springy enough to easily move and contouring enough to evenly distribute weight. Leaving you refreshed and sleeping great with plenty of money left in your wallet with one of the best mattresses on a budget. More Coming Soon! Read our Review HERE! The Love and Sleep mattress by Nest Bedding gives you a very affordable mattress available in two comfort options. This well priced bed offers an all foam build that can be bought in a firmer or more medium feel. Giving you options that make this mattress even more appealing. This mattress is also Greenguard Gold certified, making it more green and healthier too. This makes it an awesome choice for you little one’s room. Or any room that needs an affordable yet comfortable mattress. The Love and Sleep mattress will easily cocoon your body for great pressure relief but also move with you to ensure you won’t get stuck. It also provides a solid durable base foam for years of durability and use. Making it a winner on our best mattresses on a budget list. The original tulo is also a great mattress choice for anyone on a budget. 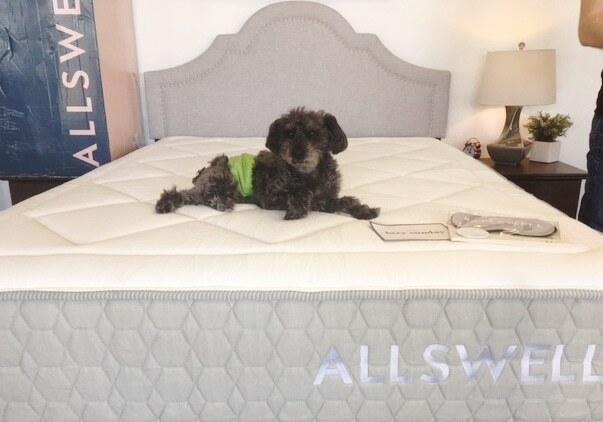 Without discounts this mattress is $750 in a queen size and usually tulo does offer a generous coupon that varies for this bed on top of that. Making it even more affordable. Find the latest coupon HERE to ensure you get the best price on your tulo mattress. This mattress features four layers of foams to create 10″ thick bed. The top layer being a thick and breathable layer of memory foam to create the best comfort and pressure relief. Over two other comfort and transition foams and than followed by a thick layer of base foam. Working together to provide three comfort options in soft, medium and firm. Allowing for all shapes and sizes of sleepers plenty of options to find their perfect fit. And rounding out the last mattress on our list of best mattresses on a budget.